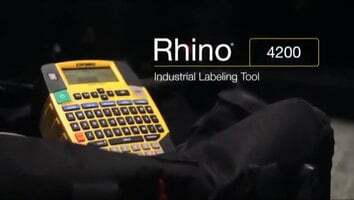 Hi, my name is Steven with DYMO Industrial, and today I want to talk you about one of our great new features on the Rhino 4200. 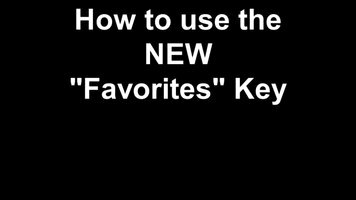 The new Custom key on the Rhino 4200 makes DYMO hot keys or shortcut keys even faster. 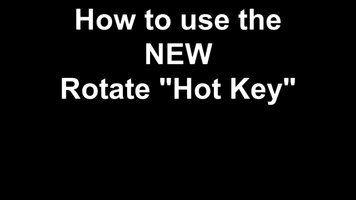 First you select your hot key, in this case "Flag." You would typically go through menu and select your flag type for cable size, hit medium, flag length, enter in one inch, hit "OK," and then you can proceed to make your label. Well, the custom key, if you select it, "Custom," you would go through that same menu, medium flag type, and then for your flag length one inch, hit okay, and then it's going ask you if you want to save it as a custom default. You're gonna hit "Yes" or "OK." And now you've saved this option as a custom default. This means that if you're going to make the same type of label over and over again, you get to avoid those menu options. So, if I clear out completely, and go back into "Flag" again, it's going to skip the menus and I can go ahead and begin typing. That's how you use the Custom Default key.